Spectral Dynamics is a leading worldwide supplier of systems and software for vibration testing, structural dynamics and acoustic analysis. Spectral Dynamics' products are used for design verification, product testing and process improvement by manufacturers of all types of electronic and mechanical products. 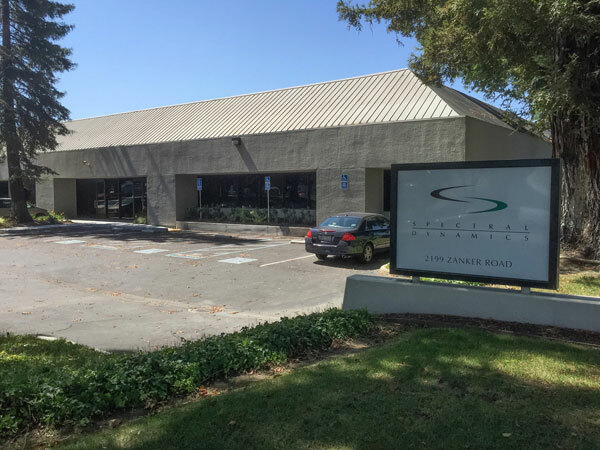 A privately held corporation with more than 100 employees, Spectral Dynamics has offices in San Jose and San Juan Capistrano Cailfornia, Detroit Michigan, Baltimore Maryland, France, Germany, India and the United Kingdom as well as sales and service representatives worldwide. Download our ISO 9001:2015 certificate here. Spectral Dynamics, Inc. Founded 1961. TimeData Corp., later GenRad Structural Test Products (STP) Founded 1966. Synergistic Technology Incorporated (STI) Founded 1978. Structural Measurement Systems (SMS) Founded 1979. Spectral Dynamics designed and first offered for sale the analog tracking filter in 1961. Spectral Dynamics was acquired by Scientific Atlanta in 1978. General Radio, later renamed GenRad, acquired TimeData Corp. in 1978. Jim Tucker and Stewart Slykhous acquired Dunegan/PIND testers in 1988. In 1989 GenRad STP acquired Structural Measurement Systems, including the STAR product line. In 1993 PIND Testers acquired Spectral Dynamics from Scientific Atlanta and changed the company name to Spectral Dynamics, Inc. In 1995 the new Spectral Dynamics acquired the Structural Test Products division of GenRad, including the former Structural Measurement Systems product line STAR. Spectral Dynamics, Inc. acquired Synergistic Technology Incorporated in November 1996. VXI Products developed and manufactured by the Advanced Research Products Group, is the newest addition to the Spectral Dynamics family. The AR products group (originally DSP Technology Inc.) established a name for itself in the mid 1970's. The AR Group has a long-standing tradition of designing dependable high performance CAMAC and later VXI data acquisition products and systems. The Spectral Dynamics credo of standing behind what we build is as true today as it was 30 years ago. The AR group products are no exception. Our newest VXI data acquisition hardware not only pushes the envelope on capabilities, it embodies the same rock solid design methodologies, which have always differentiated us from the competition. When combining this type of hardware and software expertise with the highest quality pre and post sales, field and in-house support you can be confident of mission success.